This servo utilizes both metal and plastic gears and is for Freewing 70mm - 80mm EDF jets and smaller-sized warbirds. It can be used with other aircraft with compatible specifications (see below). These are crazy smooth and fast! I will be buying more of these. Just found my go to servo. 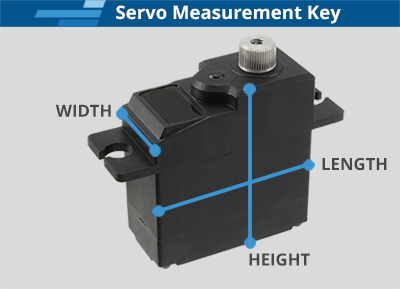 Quality product, but servo lead length is not the same as what comes stock in the plane for replacing the rudder or elevator servos. Quality product, but servo lead length is not the same as what comes stock in the plane for replacing the rudder or elevator servos, you will need a 6 inch extension for the B-24 elevators or longer if using it to replace the B-24 Rudders. This is the only reason I only give it 4 stars...because it's not an identical replacement part due to servo lead length. Works great so far. Very smooth operation. This will be used to control the rear turret in my FlightlineRC B-24.